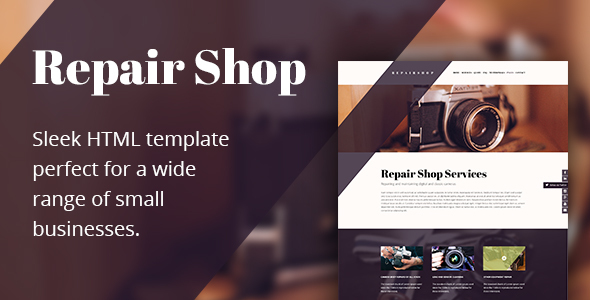 Repair Shop HTML template is perfect for a wide range of small businesses. It’s designed to help you create a modern online presence that focuses on providing services to your customers. You will receive detailed setup instructions, 7 ready made color schemes and a PSD file. If you need help, please contact us using the contact form on our profile page. 7 ready made color schemes! HTML5 + CSS3 + jQuery!